UPDATE: Dec. 3, 2018 at 2 p.m. 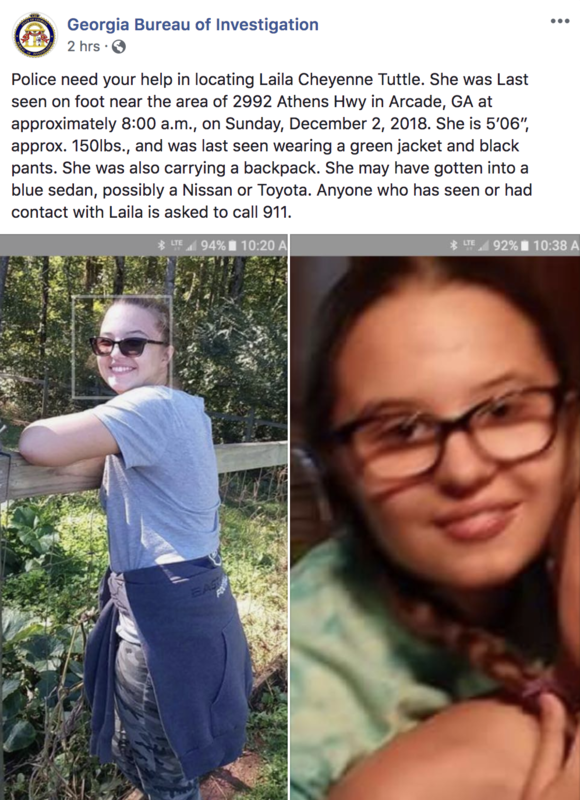 The Jackson County Sheriff’s Office and Arcade Police Department are searching for a missing teenager last seen on Dec. 2 around 8 a.m. 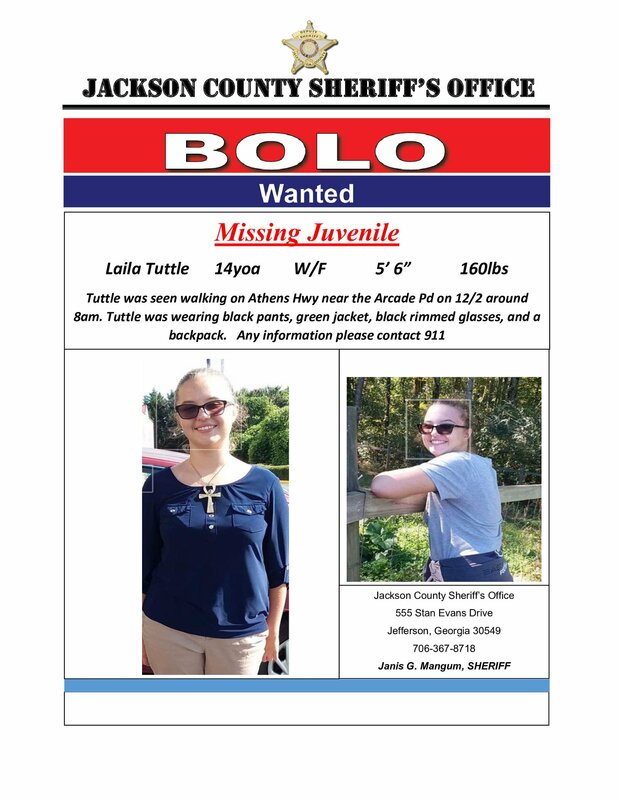 According to the Georgia Bureau of Investigation, Laila Tuttle is 14 years old and 5 feet, 6 inches tall. She was wearing black pants, a green jacket, black-rimmed glasses and had a backpack. Laila was last seen walking on Athens Highway near the Arcade Police Department. The GBI has reason to believe she may have gotten into a blue sedan, possibly a Nissan or Toyota. The GBI shared her information and photos on facebook. Anyone who has seen or had contact with Tuttle is asked to call 911.